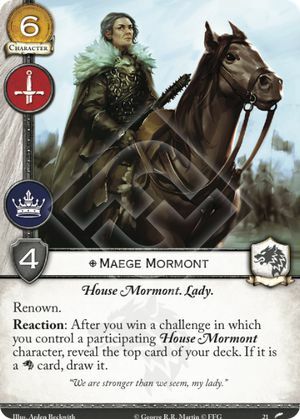 Reaction: After you win a challenge in which you control a participating House Mormont character, reveal the top card of your deck. If it is a card, draw it. "We are stronger than we seem, my lady."